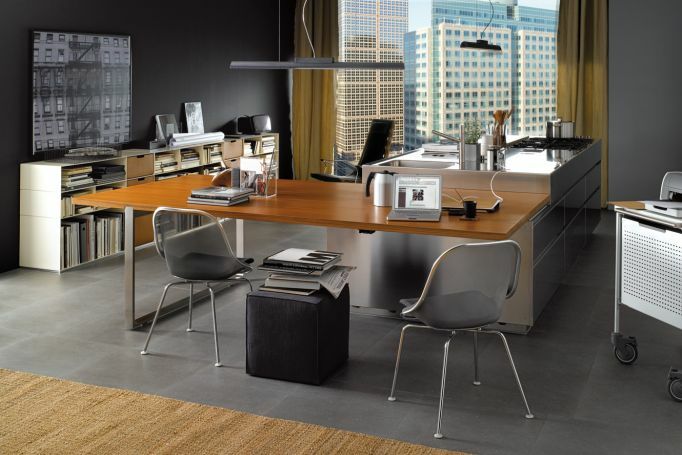 4141 Design is proud to showcase our branded kitchen showroom; Arclinea Miami. 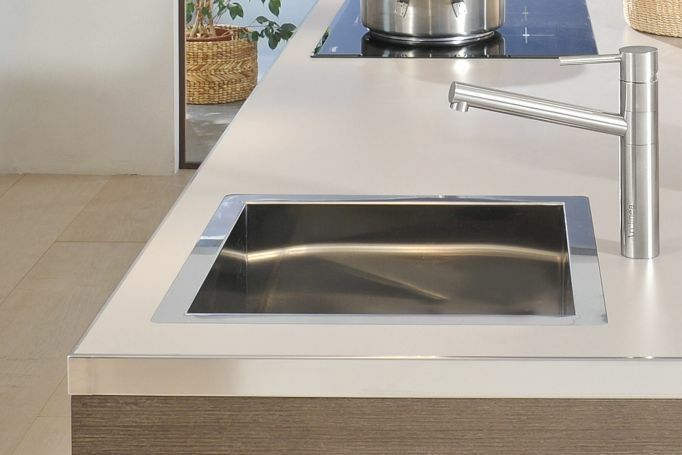 We provide in house kitchen designers that specialize in all areas of the development process and offer white glove design and installation services. Our team can assist with projects by creating a scope of client needs and drafting preliminary floor plans for any residential or commercial space. We can also work with the client's architect or project manager during the construction process to ensure all details are examined before installation. 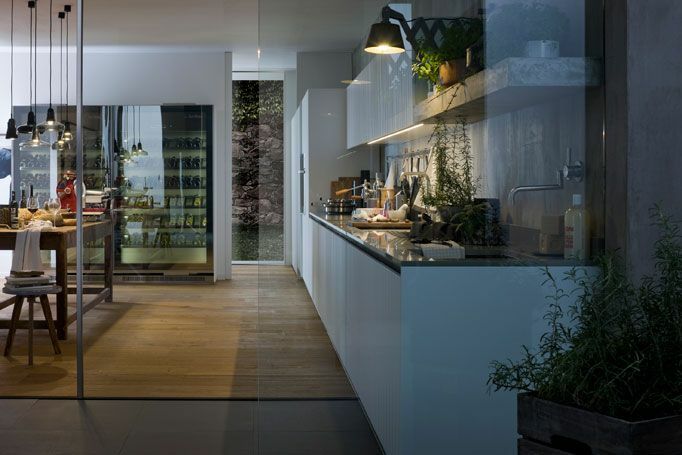 Arclinea is one of the three major suppliers for high end Italian kitchens in Miami. 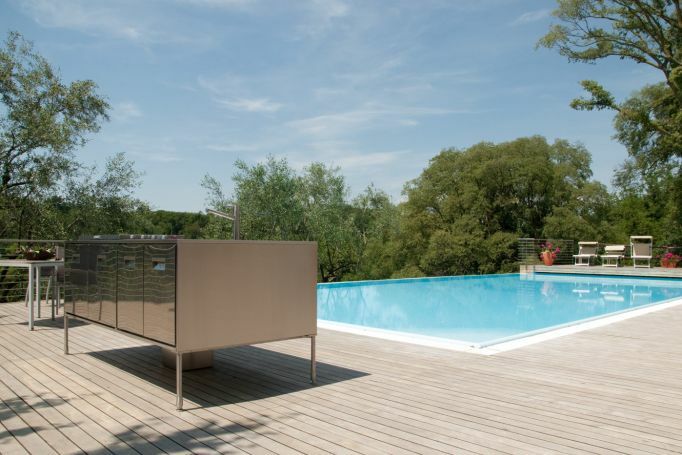 We utilize materials and technology that are climate appropriate for outdoor kitchens and nautical environments. For more information please contact one of our specialists to set up an appointment 305.572.2900. Arclinea was set up in Caldogno in 1925 with the name of its founder, Silvio Fortuna Senior, who resumed the business started by his great-grandfather in 1816 and was interrupted a century later by the war. It was an artisan laboratory specializing in wood-working, with a vocation for quality. 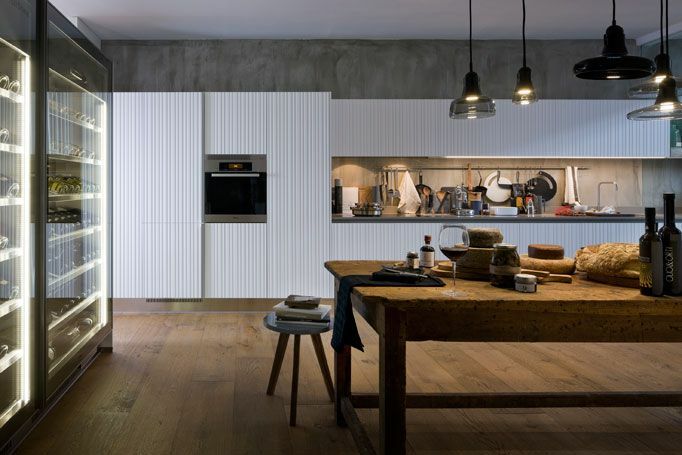 1960 the company became "Arclinea Cucine Componibili", where Arc stands for Arredamento Razionale Componibile (Rational Modular Furniture) and it shifted towards series production, leaving behind its artisan aspect and dedicating all its production energy to kitchen furnishings. This earned it a precise placing in the sector. Today Arclinea is a prestigious and internationally famous brand with selected specialist sales points worldwide. Arclinea reference designer since 1986, the architect Antonio Citterio has coordinated the collection, image and evolution of Arclinea corporate identity since 1998. 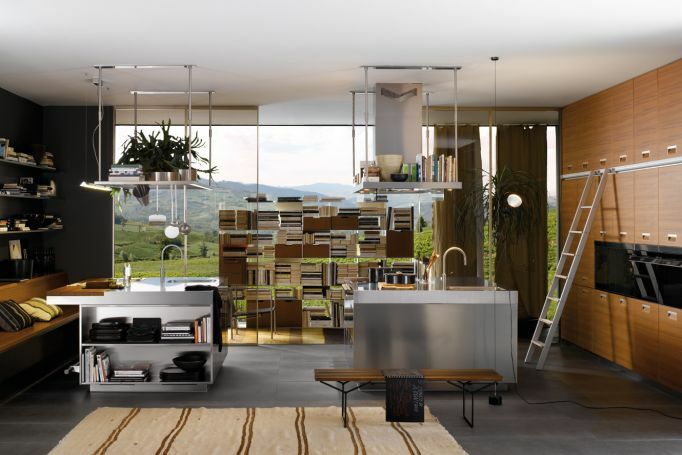 The initial project "Italia"(1988) was followed by Mediterranea, Florida, Ginger, Artusi and 2002 Convivium with which Citterio rethinks the idea of elements for the kitchen. 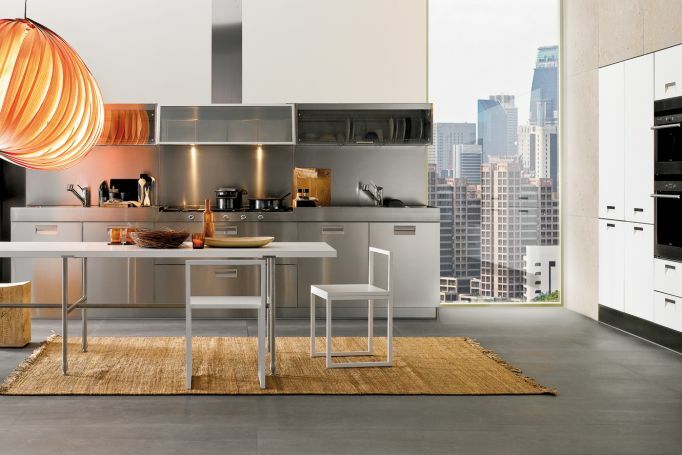 Ever smaller spaces can be countered with living kitchens that integrate the table with the central working island. Collaboration between the company and Citterio became even more intense and gained a new slant in 2006, with the birth of the Arclinea Trading Campus: the objective was to spread the culture of design and convey Antonio Citterio's planning, style and aesthetic concepts to the entire sales network. Over the years complete design process management has been developed and put in place. 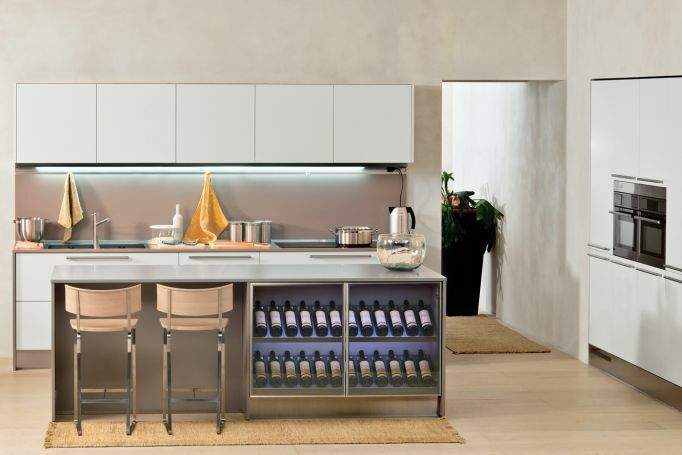 A strict formal and functional approach to the product has led to the most complex definition of space, with the realization of innovative solutions for kitchens synchronized, aiming to improve quality of life: from ergonomics to well-being via emotion.